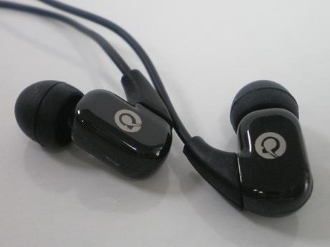 Earphones fit deep into the ear canal and provide the best noise isolation from the environment. Powerful magnets of MR2 PRO provide extremely high efficiency but stronger bass performance such that it works well directly out of an iPod or portable player. In order to ensure optimum fit and comfort, MR2 PRO comes with three sets of ear pads that allow the best match for any ear.